Over the past few days, Samsung had been teasing the launch of a new smartphone in its Galaxy On-series. And right on cue, the company has today launched the Galaxy On Max. Priced at Rs 16,900, the smartphone will be exclusively available via Flipkart starting July 10 at 11:59 PM. As an introductory offer, buyers making the payment using Standard Chartered credit or debit cards can available flat Rs 2,000 off. Samsung has been touting the smartphone’s camera prowess with the tagline — flagship camera. It is a 13-megapixel snapper of aperture f/1.7 to help you capture better low-light photos. The camera is also supplemented with an LED flash. Up front, the smartphone has a 13-megapixel front camera of aperture f/1.9 with LED flash. The camera app also includes live stickers and filters allowing you to add flare to your photos. 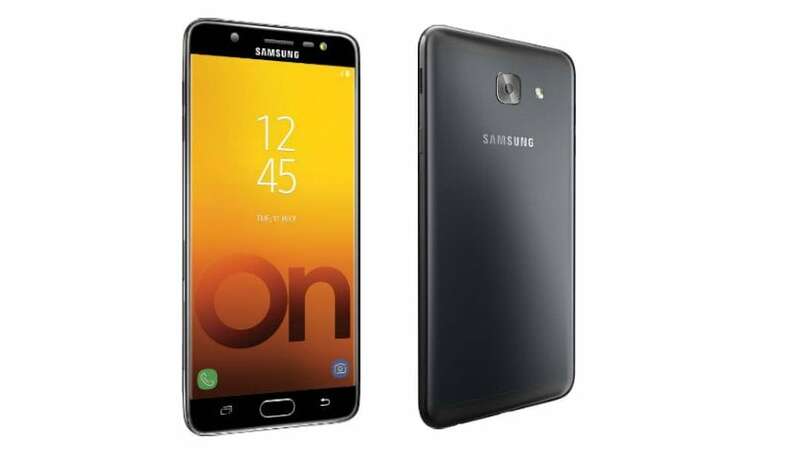 Last month, Samsung introduced the Samsung Pay Mini platform with Unified Payments Interface (UPI) and Paytm integration with the Galaxy J7 Pro and Galaxy J7 Max. Now, the same platform is also integrated in the Galaxy On Max. The smartphone features a metal unibody design with the volume rocker on the left, power / sleep button on the right, with the microUSB port and 3.5mm audio jack at the bottom. Coming to specifications, the Galaxy On Max comes with a 5.7-inch full HD display along with 2.5D curved glass on top. It is powered by MediaTek’s Helio P25 Lite octa-core SoC with 4GB of RAM and 32GB storage. A microSD card for further expansion is also present. Armed with a 3,300mAh battery, the smartphone also features connectivity options such as Bluetooth, Wi-Fi, GPS, and 4G LTE with VoLTE HD voice calling support. Running on Android 7.0 Nougat OS, it also comes with support for dual apps, where you can use two different WhatsApp, Messenger, Facebook and other accounts on the same device. At this price point, the Galaxy On Max will compete with the Nokia 6, Nubia N2, Honor 8, and Asus Zenfone 3 (ZE552KL) among others.